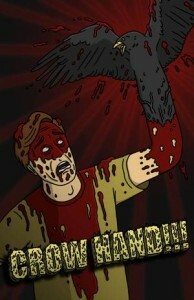 Watch the Crow Hand!! teaser below. Playing at Frightfest as part of the short film program. The film stars Caitlin McPhail, Jason Vail and is written and directed by Brian Lonano.